Sometimes the answer you need is right in front of you. On a lunch break, Nancy steps into Grandma's Soup House, a little place she hadn't noticed before, and happens upon an unexpected source of inspiration. 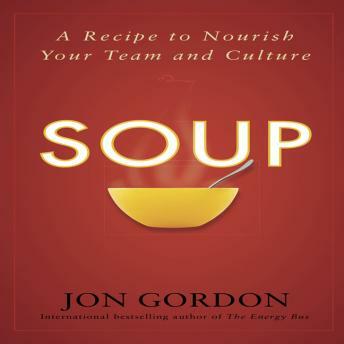 New from the bestselling author of The Energy Bus and Training Camp, Soup tells the "stirring" story of how Nancy discovers the key ingredients to revitalizing her company, her team, and herself.